Just two years after its founding at the 2012 Prolight+Sound expo, VUE Audiotechnik has appointed Holger de Buhr as managing director for the newly formed VUE Audiotechnik Europa GmbH (VUE Europe). 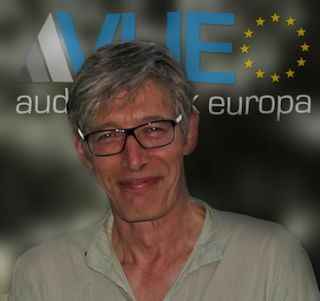 Holger de Buhr, Managing Director of VUE Europe. Headquartered in Berlin, VUE Europe is a service and support organization for the VUE Audiotechnik brand across Europe, providing distributors, dealers and customers alike with a broad list of regional resources, including technical support and service personnel, application engineering, and a state of the art demo facility and showroom. VUE Europe will also assume direct distribution responsibilities for the VUE Audiotechnik brand in Germany, Austria and Switzerland. All VUE European distributors will soon benefit from the additional tools made available through the company's new European operation. "Europe is an extremely important market for VUE," commented CEO Ken Berger. "Even though our focus to date has been primarily on North America, VUE has enjoyed some pretty significant momentum in Europe, thanks in part to a growing network of extremely dedicated distributors." Berger continued, "We've now reached a tipping point in the U.S. where VUE is perceived as a major player, and our products are being specified into notable projects across the country. We're ready to bring the same focus to Europe, and we know from experience that building a truly exceptional service and support organization in the region is critical for the long term success of VUE and our European customers." Joining as managing director of VUE Audiotechnik Europa GmbH, Holger de Buhr brings nearly 30 years of industry experience to the role. In addition to serving as CEO of VUE's German distributor Media Logic GmbH, de Buhr has also held strategic leadership positions with the Just Music Group as well as Audio Sonic GmbH, where he was responsible for regional distribution of the d&b brand, permanent installation and project business, as well as worldwide service for Neumann Broadcast consoles. "Despite being quite young, VUE has made a significant impact in Europe, with early installations fueling a growing reputation for exceptional sound and build quality," said de Buhr. "In all my years these are the first PA speakers that can easily keep pace sonically with studio monitors. I'm tremendously excited to help the European market learn more about VUE, and to establish a world class support network to serve the region." VUE Audiotechnik Europa GmbH begins operations immediately. VUE's EVP Jim Sides, who has extensive European experience, will work directly with de Buhr during the initial ramp-up phase. Their immediate focus will be expanding support services and technical personnel, increasing regional inventories and fulfillment capabilities, as well as growing VUE's distribution network to all points in Europe.